My Grandparents emigrated from Belgium to Argentina when they were around 13 years old. I was born in Argentina as the older brother of 4 boys. Came back with my family to Belgium when I was 13 years old in search for a better future. Well… We found it! After finishing college my girlfriend and I decided to take a short trip to New Zealand. That trip went on for a year and a half. There we both worked as baristas and fell in love with the profession, never knowing that we’d get so involved in it! 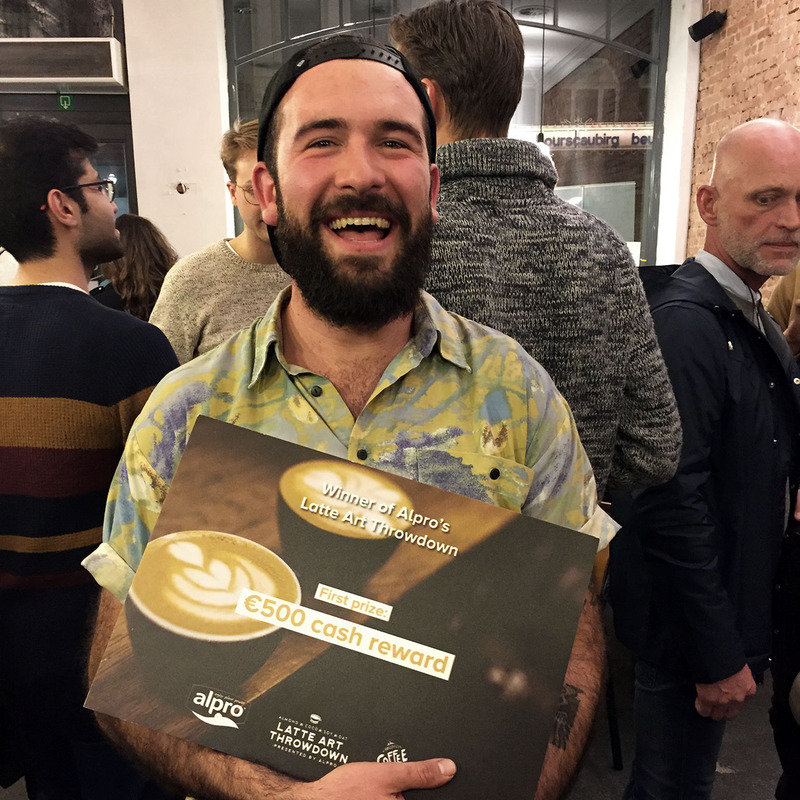 Once back in Belgium I had the opportunity to become a barista at Viva Sara Kortrijk and now I own my own coffee bar in the same city. – When did deDingen open and what is the story behind? Brecht Soenen started deDingen 8 years ago as a bar where EVERYTHING was for sale. Now we’re a specialty coffee bar with brunch/lunch, bar and (soon) also brewery. deDingen is one of those places that you fall in love with or you never come back again! ???? I love the romance behind every cup of coffee. It doesn’t need to be perfect as long as the customer enjoys the experience. I loved my Senseo during college! But my first experience was very similar to everyone else I guess. Having a sip from mom’s coffee and not understanding why they drink that kind of poison! But he! I got used to it now. New Zealand. So many coffee bars! But after a while you know where to go and before you know !BAM! The Senseo machine at home needs to go! Little Mermaid coffee bar in Queensland Australia. That was the first time a coffee became a memory. I used to practice a lot at home trying to get my V60 perfect and making latte art with Bialetti and frothed milk. Now it’s only a V60 from time to time. Most of the time we spend in the shop anyway. Flat White in the morning, survive through the day thanks to filter coffee and every once in a while an espresso. But if you pour me a Cold Brew, well that’s a friendship that’d last a life time! Starting to realize that I’m a coffeeholic. I’ve worked as many jobs as I could! Always hopping from one work to another… I just like to learn! But now I’ve been in the coffee industry for at least 3 years and there are still many to come (hopefully)! Celia’s Pie Shop in Auckland, New Zealand. That’s where it all started for me. Did a 3 days course and thought I could handle anything! Haha! BH. Think they’re doing a great job. Very clear and accessible. Perfect Daily Grind is also one of those websites that I visit a lot. Lungo deca with whipped cream? Really?